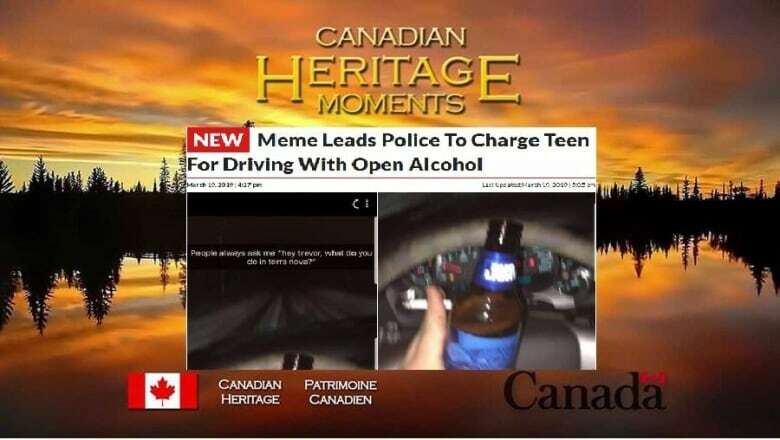 Cape Shore Memes bills itself as a Newfoundland humour site, but a 19-year-old man convicted of having open alcohol while behind the wheel likely isn't laughing. 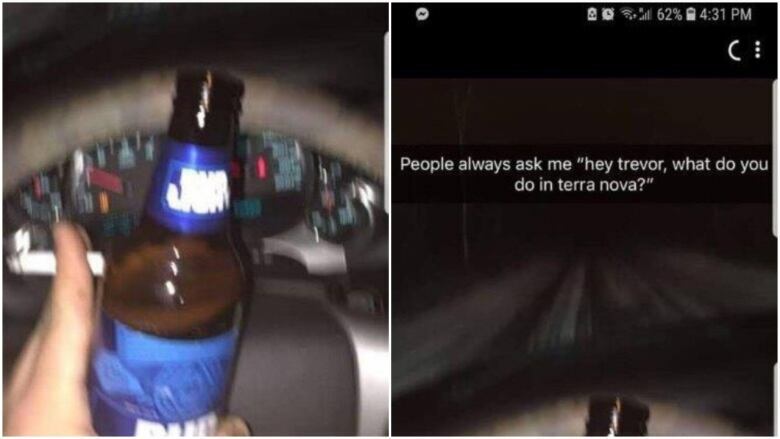 A popular satire social media account was responsible for police tracking down a driver who was pictured holding an open beer while allegedly driving a vehicle. 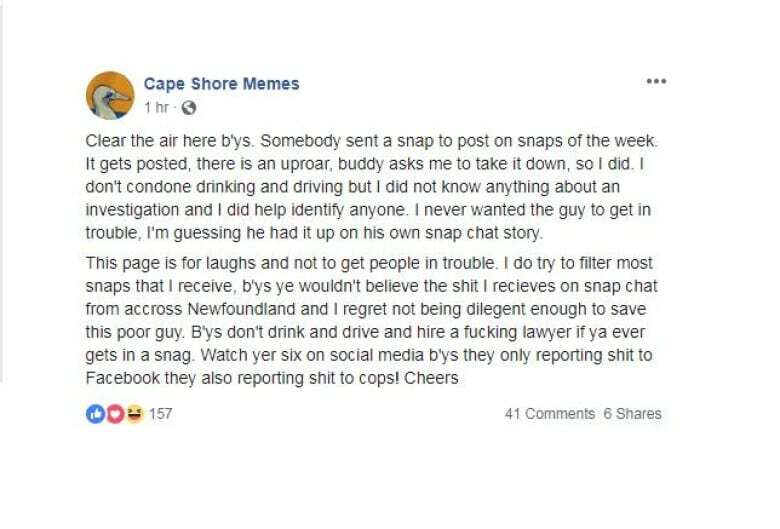 The RCMP said it was notified of a posting on Cape Shore Memes, a social media account that says it specializes in Newfoundland humour. The Facebook account has more than 147,000 people who follow it. The caption or comment that accompanied the photo read "People always ask me, 'Hey Trevor, what do you do in Terra Nova?'" After an investigation, police said they identified the driver featured in the post, a 19-year-old man from Terra Nova. He was charged — and convicted — under the Liquor Control Act for having open alcohol in a vehicle and also under the Highway Traffic Act for using a cellphone while driving. Police said when the man was questioned by police, he didn't deny it was him in the photo. A person running the Cape Shore Memes page responded to news of the conviction in a post Tuesday evening, saying "I don't condone drinking and driving but I did not know anything about an investigation and I did [not] help identify anyone ... This page is for laughs and not to get people in trouble." Followers of the page responded by creating memes out of the situation. The incident with the driver marks the second time this week that police were made aware of something circulating on social media. On Monday, the Placentia RCMP issued a release March 8, that said it was made aware of a video circulating on Facebook involving animal cruelty to a cat. A 15-year-old girl was identified in the video and "is being dealt with under the Youth Criminal Justice Act," according to the RCMP. The cat was ultimately uninjured, according to police. In that incident, police got a tip from a member of the public, who sent a video that was making the rounds to police. The RCMP is reminding people that it will investigate any illegal activity circulating on social media.